Silly cats, you both hate to travel. So I’ve started to watch the new show Pan Am. It’s a bit out there and ridiculous with the characters and kind of moves too quickly for an episode (just a LOT seems to happen in the episode but it seems a bit too packed and unrealistic maybe) but I still like it all the same. 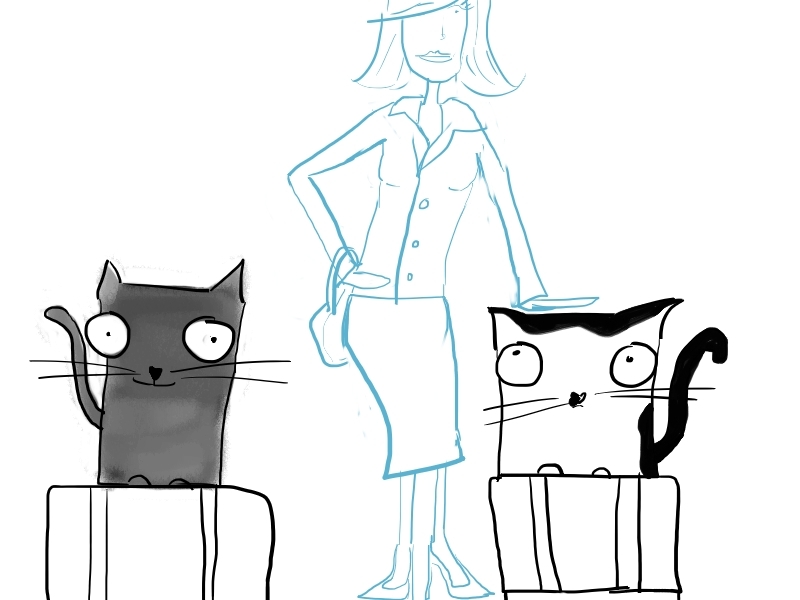 Here are Duncan and Smudge with a Pan Am lady ready to take off. Lee has a very efficient approach to pests.